Crytek is on a roll with yet another highly successful game released for their adoring fans (so what if it did not break computers?) and on the heels of the release of Crysis 2 comes the announcement of the Crysis 2 editor for the modding community to go wild with (considering that some of the finest mods in recent times were of the original game, Crysis). But that was not all that CEO of Crytek, Cevat Yerli, had to say in the extensive open letter published for the Crytek modding community. 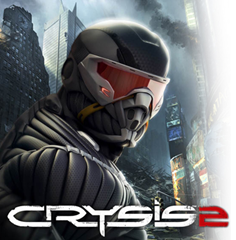 Yerli also mentioned that a free CryENGINE SDK (Software Development Kit) will be released for modders who wish to go above and beyond the normal modding capabilities and wish to make an entirely new game while building on the resources available in Crysis 2. This will be a complete version of our engine, including C++ code access, our content exporters (including our LiveCreate real-time pipeline), shader code, game sample code from Crysis 2, script samples, new improved Flowgraph and a whole host of great asset examples, which will allow teams to build complete games from scratch for PC.